Who wants to grow up? Choose a career? Follow a five-year plan? Can't we just hang out with our friends and do what we want forever? 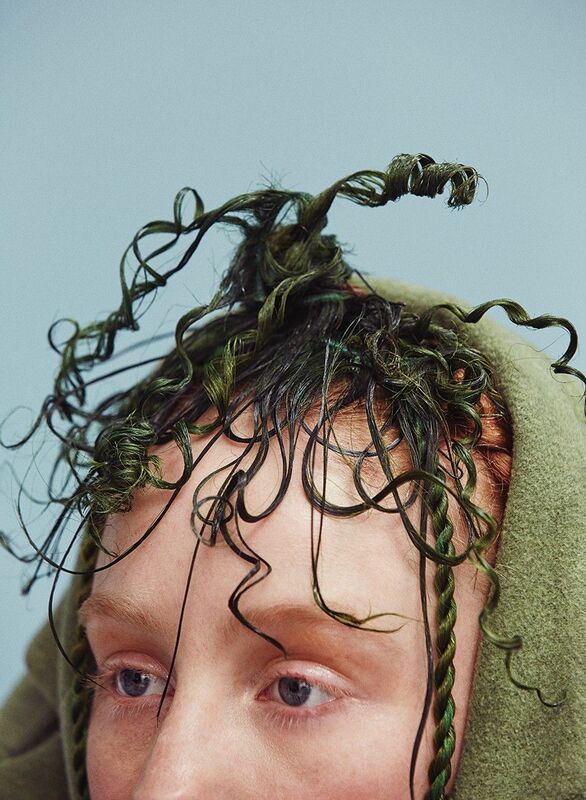 Well, we can't stop getting older, but if India Salvor Menuez's rapidly blossoming career is any testament, we don't have to give in to adult decision-making any time soon. Born, raised and still living in New York, Menuez, now 22, is the epitome of a multifaceted creative and a multitasking Millennial as an artist, actress, model, dancer and activist. Just in the past year, Menuez finished filming the Sundance hit White Girl, had a bit part in Transparent, organized and participated in a massive performance art takeover at MoMA, worked on a collection of sculptures and paintings and landed a global campaign for Miu Miu's spring collection. It seems that wherever you look right now, Menuez is looking back, and people have begun to ask that very adult question: "But what does she do?" "I used to feel this need to define myself to people," Menuez explains in her small Chinatown apartment, sipping a glass of home-brewed raspberry kombucha. She uses a self-mocking tone when recalling that selfconscious feeling that comes with young adulthood: "Ugh, I don't make sense. I'm not going to be a master of any craft because I can't pick one. Ugh, I'm such an amateur, blah blah blah. But I don't feel that as much anymore. Now it's about community." Menuez has worked as a part of a creative collective called Luck You (now on hiatus) since high school, bringing friends together to make visual and performance art. "It generated a really good community and this notion of DIY really working," she says. "But as we got older it became more of a business, which killed the vibe a bit." Now Menuez is more of an art collective drifter, collaborating in many forms but making the choice not to settle in one place. 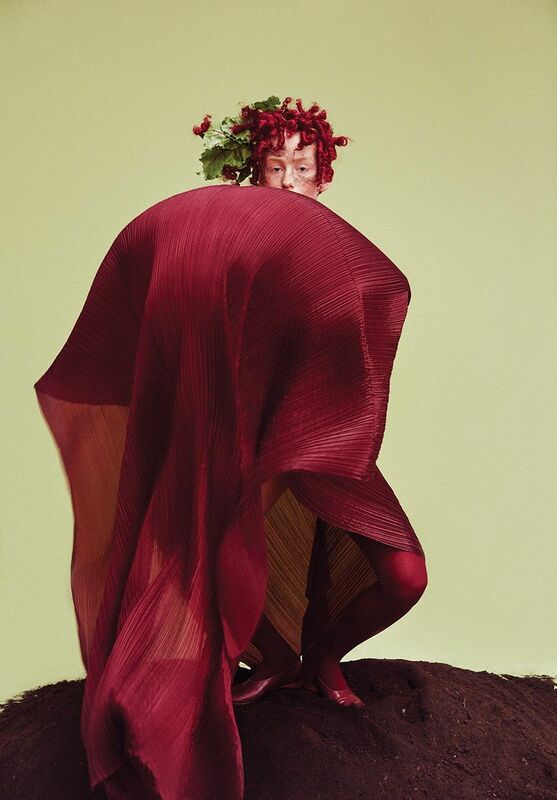 One day she's making costumes, acting and writing a "play thing" with her personal performance project Chibi Cherry; the next day she's exploring improvisational dance in Amsterdam; and the next she's walking in New York Fashion Week for buzzy experimental designers Eckhaus Latta, who also happen to be friends of hers. Menuez is a crucial link in the vast network of artists and performers she collaborates with, bringing them together to make work in new and unlikely settings. One unlikely venue was that takeover she curated at MoMA, where she brought her posse to participate in a performance art marathon called Booklub 10 as part of The Newsstand, an installation in the Ocean of Images exhibition this winter. The proposal Menuez put together months before was consciously vague. She told MoMA that only a few artists would be performing, but the rare opportunity to have all her talented friends show at such a prestigious institution was just too great to pass up. "We put on almost 50 performances between the minute they opened right up to the minute they closed," Menuez says. "It was a really cool backdoor way into a super-established space." Menuez's involvement in the fashion industry carries that same feeling of a guerrilla takeover, where she and a few other artists like Hari Nef and Petra Collins, who also happen to be her friends and Transparent co-stars, have become unlikely faces for mainstream fashion brands (both Nef and Collins walked in the Gucci FW16 fashion show). 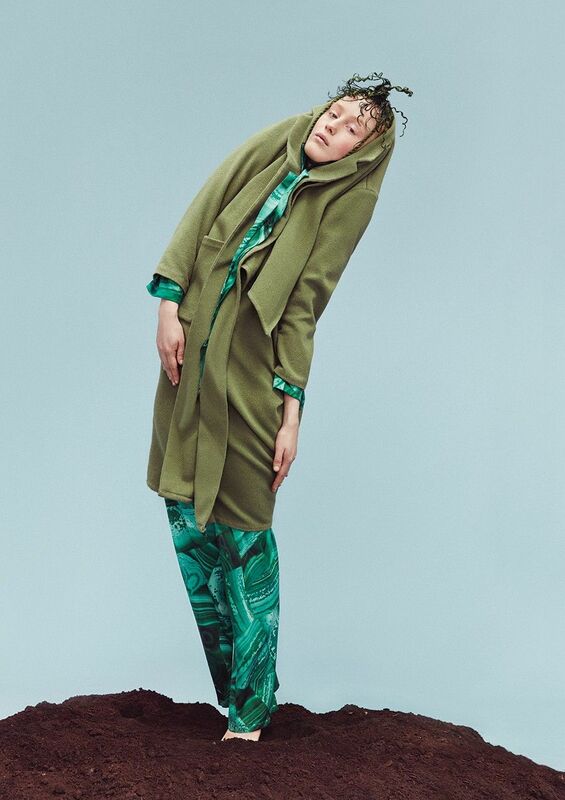 "The underground and the subversive is always going to be a threat, so the establishment has to absorb that to continue to function," Menuez says, explaining fashion's recent embrace of models and muses like Nef, Collins and herself who represent a progressive youth aesthetic that, at times, blurs the lines of gender and sexuality. "It wasn't really a 'part of the plan,'" Menuez says of her Miu Miu campaign. "I have so many qualms with the fashion industry and how they treat models, but it's also where women actually make more money. Modeling has always supported me. I've literally never made any money on art. With this and the help of a great management team, I've been able to carve out a place for me to support myself and my work." It's this ability to carve out a place for herself in fashion, art, performance and acting, along with Menuez's steadfast decision not to make a decision of what she is or will be, that makes her so intriguing. And, maybe, forever young.